This is a really beautiful Vintage Christmas Image! 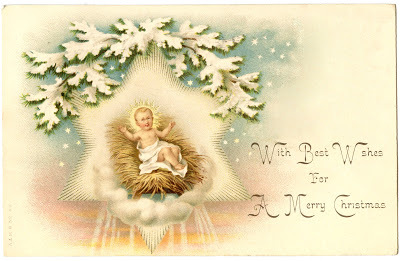 Shown above is the Baby Jesus in the Manger! He’s surrounded by Stars and lovely Wintery Branches. So gorgeous! 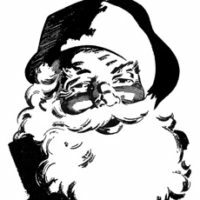 Victorian Christmas Clip Art – Beautiful Family 12 Cute Santa Clipart – Retro Style! 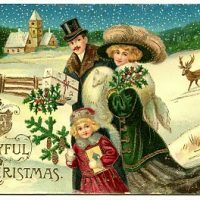 Vintage Christmas Plum Pudding Image! Merry Christmas and much joy! Thank you Karen for all you do. Have a wonderful Christmas!